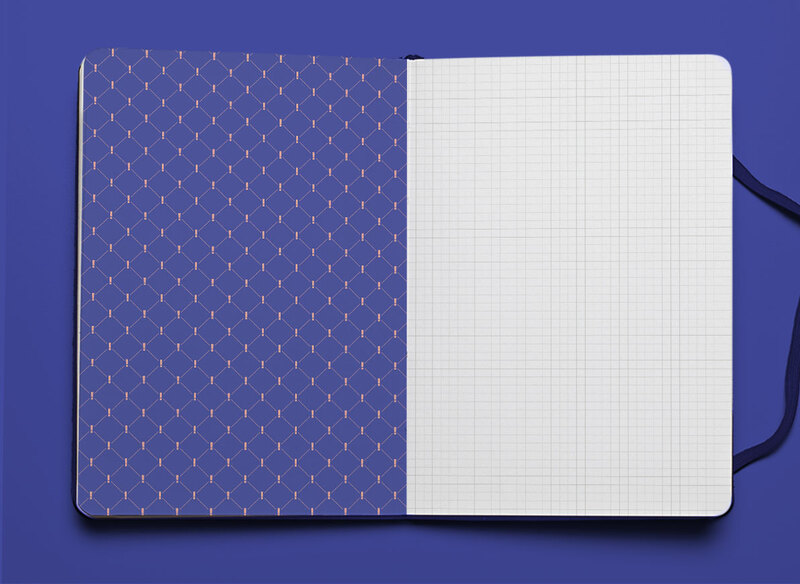 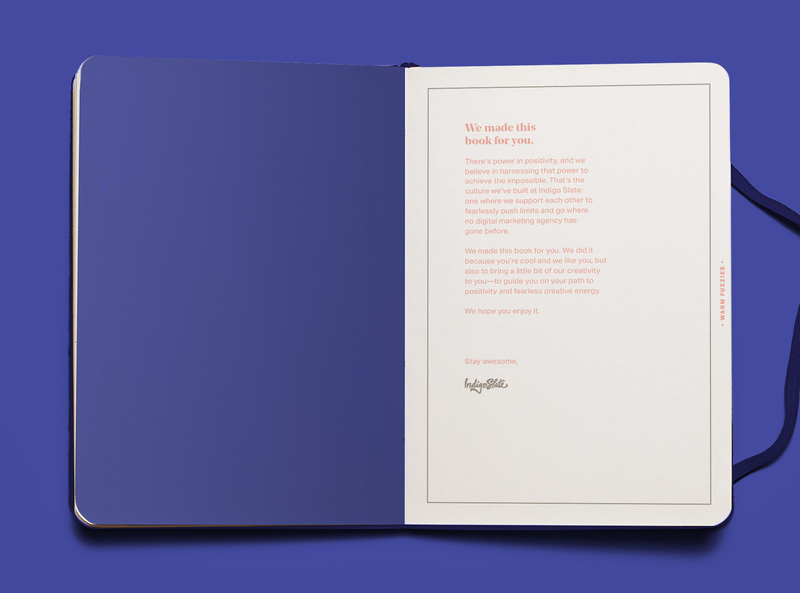 Indigo Slate reaches out to their client base every holiday season with a gift to show appreciation for all they have done together in the past year. 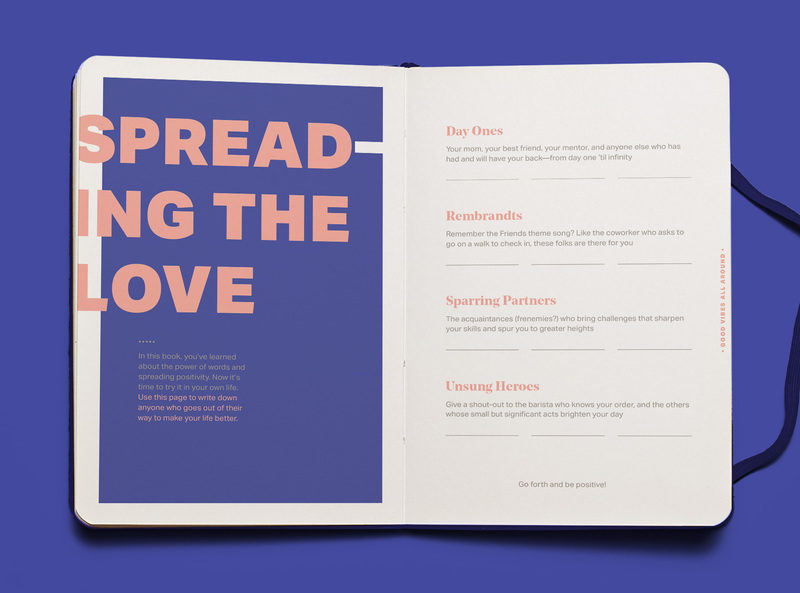 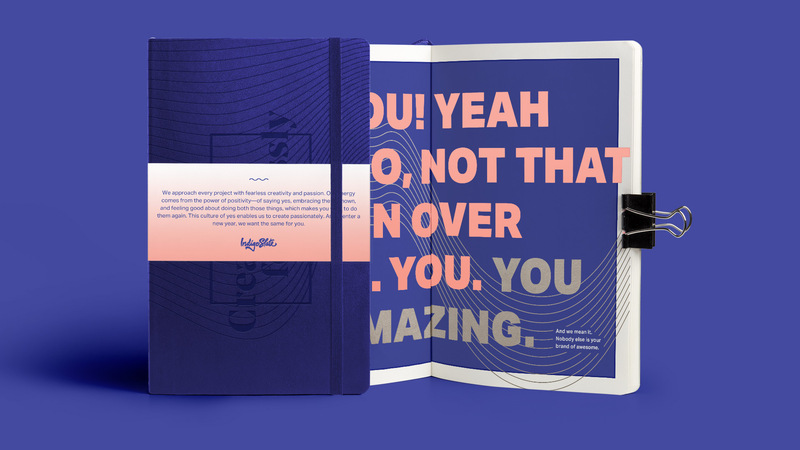 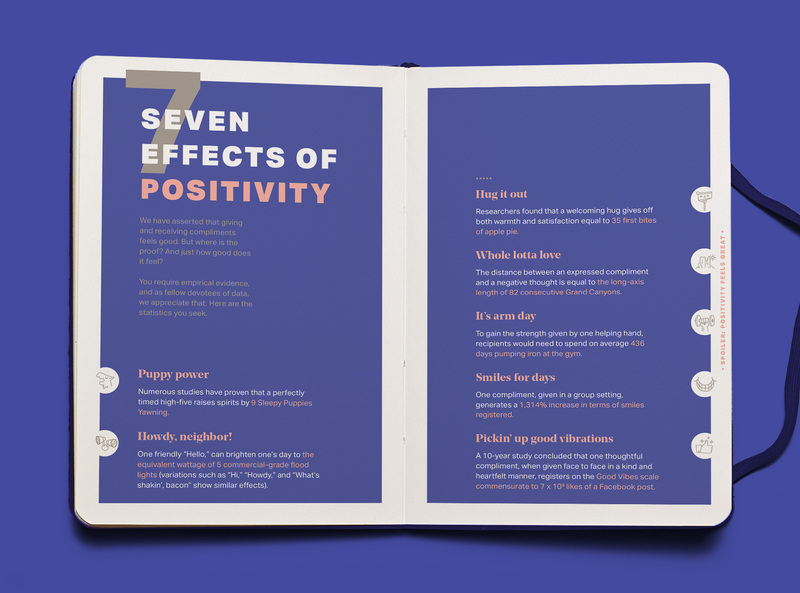 Our solution this year was to create a brand piece that focused on Indigo Slate’s culture of positivity and how that enables us to create. 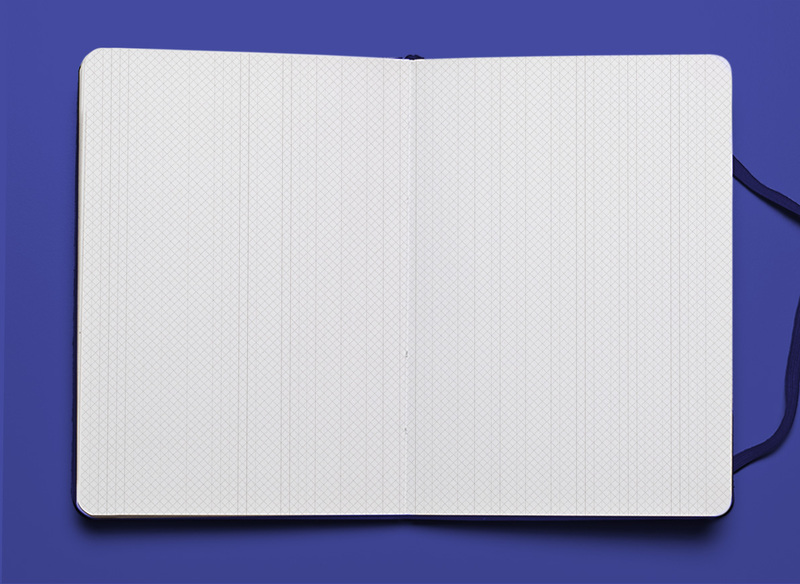 This message is delivered in a high-end journal with informational pages interspersed. 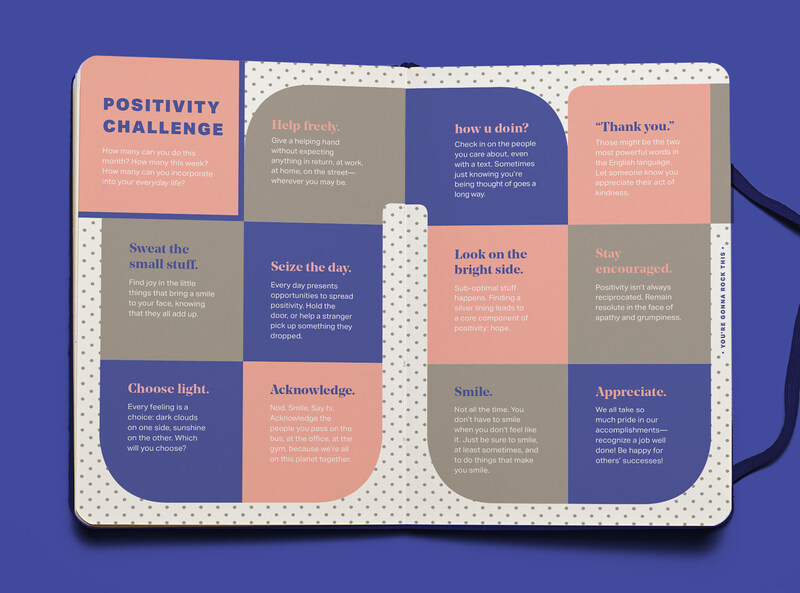 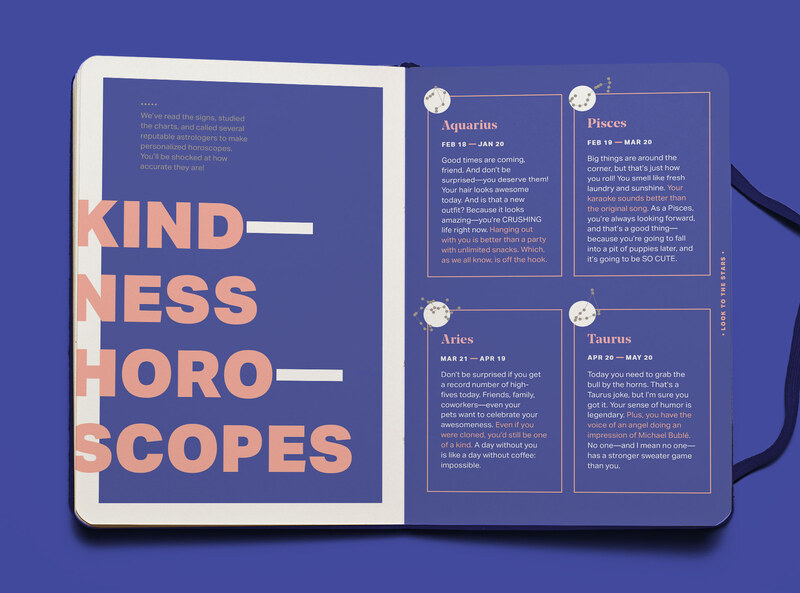 These pages start by telling you the effects of positivity in the work place and giving examples of how even a small gesture can give that extra little push for someone to be successful. 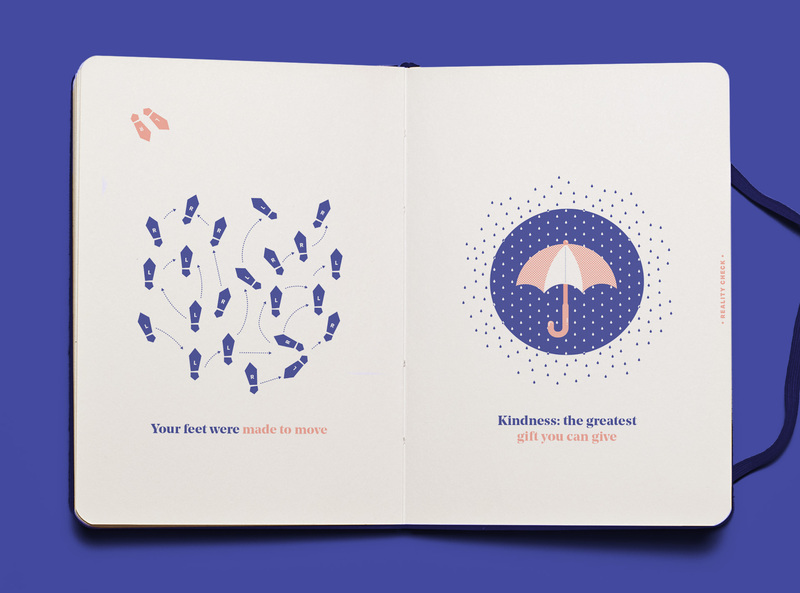 These pages slowly become more participatory with positive ‘assignments’ until finally the reader is asked to go out and spread positivity on their own.